Brown Butter Pumpkin Cake | Baking and Caking! 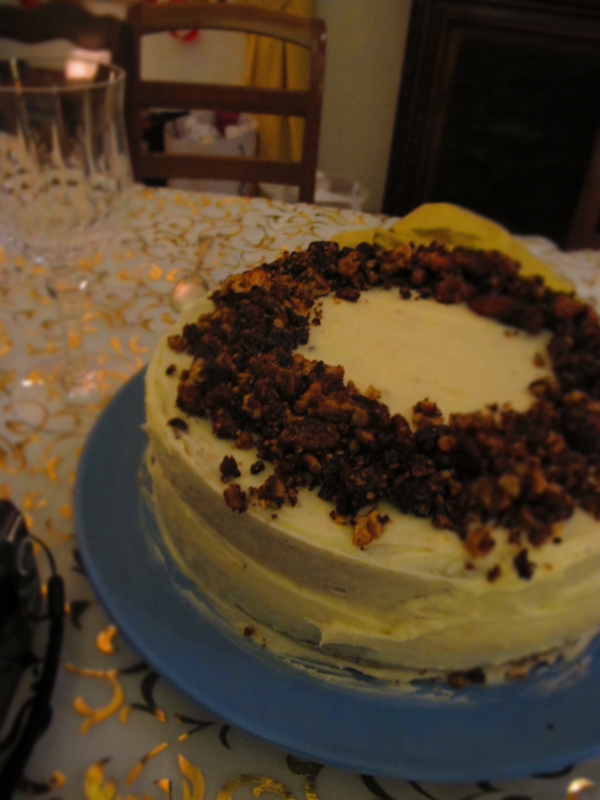 This entry was posted in Cake, France, Holiday and tagged Brown Butter, Christmas, Marseilles, Pumpkin by Maya. Bookmark the permalink. I agree, French baking is delicious indeed! I also liked your comment in the ‘Hello Paris’ post that French food ‘isn’t too bad’! I’m impressed that you brought your baking pans and measuring cups along – I’m sure you’ll get used to measuring in metric. I think my second time in France was probably the most memorable in terms of food. That was after my first year of college – mom, your dad and Adam were in Europe for 5 or 6 weeks, I met them in France for about 2 weeks. I was supposed to meet everyone in Paris, yet mom and dad decided they wanted to spend more time touring French wine country. So, Adam came to Paris by himself to meet me, and we were on our own for almost a week – pretty cool at 16 and 18! I remember that was the first time we could sit down at a sidewalk cafe and have a beer together. We found some decent places to eat on our own – even the cheaper restaurants in Paris are generally pretty good. That was before cell phones of course, so meeting up with mom and dad at the youth hostel where we were staying was a bit challenging. Our first meal together was going to an outdoor market to get some baguettes, brie cheese and fresh fruit, then sitting in a public square to eat our food with some fine wine – delicious! Baking soda in a cake – that is unusual. I would think baking powder (the secret ingredient for latkes!) is more common – is that what you used as a substitute? Well, have fun & keep us posted! Sorry I missed this version of “the cake” — Aren’t you glad I asked you to try this cake earlier this fall!!! It looks spectacular – as usual. 🙂 never would have found it without you! Pingback: Pumpkin Pudding | Baking and Caking!